Whether you are looking for a complete new central heating system or just a new boiler, we will come and talk to you about your requirments assessing the best options for the work that you want carried out. Assessments are made according to regulations and quotes are free of charge. We install boilers from reputable manufacturers such as Vaillant, Worcester, Viessmann, Ideal and others, that come with long manufacturers warranties for your piece of mind. The boilers that we install are A rated which are extremly gas efficient costing you less to run and causing less harm to the environment. 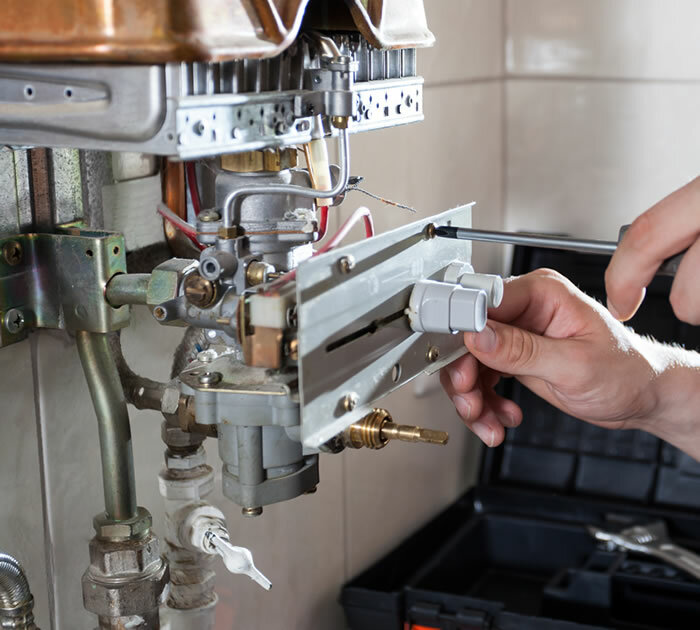 Our experienced engineer covers all aspects of domestic gas boiler breakdowns. We understand from our many years in the industry that having no heating or hot water can be extremly stressful. Our aim is to have your boiler fixed as quickly as possible, causing you the minium of disruption. We offer boiler servicing on all gas boilers. It is important to have your boiler serviced every year for safety reasons and to keep it working efficiently, this helps to reduce fuel bills and breakdown costs making your boiler last longer. Our engineer will carry out tests for gas leaks, carbon monoxide leakage, combustion process, and correct operation among other things, to ensure that your boiler is working at it's optimum efficiency and safety.